Most of my writing appears on this site. These are articles published elsewhere. Where Do You Go Next? Publishers Weekly Frankfurt Show Daily, October 10, 2018. Let’s Make Metadata Great Again, Publishers Weekly, October 8, 2018. Startups Within the U.S. Book Publishing Industry, Publishing Research Quarterly, Spring 2017. Ebook formats are a mess – here’s why, Learned Publishing, October 2012. In Search of PrintTalk and JDF, Printing Impressions, June 2001. 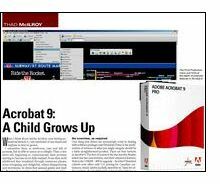 How Important Is Acrobat 5?, Printing Impressions, April 2001. Providing Network Publishing Services: A Future Role for Printing and Prepress, The Prepress Bulletin (IPA), March/April 2001. Attack Plan 2001, PrintAction, March 2001. Answering the Critics, Printing Impressions, February 2001. Moving to Network Publishing, Printing Impressions, December 2000. The (Hidden) Meaning of DRUPA, Printing Impressions, August 2000. QuarkXPress and InDesign Battle it Out, Printing Impressions, May 2000. What is XML, and Why Should You Care?, Printing Impressions, March 2000. Are We in Worse Shape than Anyone Thinks?, Printing Impressions, January 2000. Seybold Announcements Were Aplenty, Printing Impressions, November 1999. Print Buying on the Web, Printing Impressions, September 1999. Winning Battles, Losing Wars, Printing Impressions, April 1999. Publisher’s Newsletter Pays Tribute to Printer, Printing Impressions, March 1999. The Digital Workflow’s Future is Complex, eMediaWeekly, 2/01/99. Print is on a Collision Course with the Web, eMediaWeekly, 1/04/99. 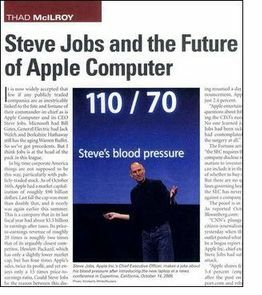 You Can Learn a Lot from a Friday Quickie, eMediaWeekly, 12/07/98. Still Awaiting Print Technology Dividend, eMediaWeekly, 11/02/98. Managing Mixed Platforms, Printing Impressions, November 1998. Printing in the Era of the Internet, eMediaWeekly, 10/05/98. Where are We Going on the Web?, Printing Impressions, September 1998. Adobe’s PDF: What’s all the Fuss and Bother?, eMediaWeekly, 9/9/98. The PDF Files: Workflows that Work, Digital Production Executive, June, 1998. Digital Printing: Are You Making Money?, Printing Impressions, June 1998. What’s Holding Up Variable Data Printing?, The Eagle, Q2/’98. HDIA: New Name, New Concerns, Printing Impressions, April 1998. New Year New Media Trends, Printing Impressions, February 1998. Asset Management, Digital Production Executive, December 1997. PDF’s Prepress Popularity Takes Off, Printing Impressions, November 1997. Switching Channels for Survival, Printing Impressions, September 1997. Technology’s Edge: New Tools and PDF, The Seybold Report on Publishing Systems, Vol. 26, No. 14 (April 14, 1997). The Benefits of One-to-One Marketing, Printing Impressions, March 1997. The Flexible Option, Publish, February, 1997. Color Management Today, Part 3 , The Future Image Report, Volume 4, Issue 8 (January/February 1997). Ruminations on My First Time, Printing Impressions, January 1997. Color Management Today, Part 2, The Future Image Report, Volume 4, Issue 5 (November ’96). Progress in the Preflight Process, Printing Impressions, November 1996. Defining the Elephant, The Bulletin: Seybold News and Views on Electronic Publishing, October 30, 1996. Old-Fashioned Short-Run Printing , Printing Impressions, September 1996. Process Color on the Desktop, Quick Printing, August, 1996. Distributed Printing Still Waiting for Takeoff, Publish, August, 1996. Color Management Today, Part 1, The Future Image Report, Volume 4, Issue 2 (July ’96). Understanding Value on the Web, Printing Impressions, June 1996. Exploring the Depths of New Media, Printing Impressions, April 1996. Contemplating Multimedia, Printing Impressions, September 1995. Print That! Commercial printing showing signs of becoming the first casualties of interactive media, Digital Media, August, 1995. Shaping the Future, The Prepress Bulletin (IPA), July/August 1995. The Long-term Effect of Short Runs, Printing Impressions, May 1995. The Real Market for Color Publishing, Printing Impressions, March 1995. All the News Fit for Prepress, Printing Impressions, January 1995. Trade Customs for a Digital World , Printing Impressions, November 1994. Small Printers Face the DTP Challenge, Printing Impressions, September 1994. PINC Group Develops Trade Guidelines for Digital Files, BlueLine, Fall 1994. Estimating and Pricing DTP, Printing Impressions, April 1994. Waiting for the Digital Future, Printing Impressions, February 1994. Will Microsoft Own It All?, The Future Image Report, Vol. 1, Issue 7 (Jan ’94). (with Bruce Fraser and Rudolph Burger) Testing Color Management Technology, Color Publishing, November/December 1993. The Pros and Cons of Photo CD, Printing Impressions, November 1993. DTP Scanning Software: A Comprison, Pre-, October 1993. CD or Not CD: That is the Question, Printing Impressions, September 1993. Has Desktop Color Finally Caught the High End?, EC&I, September, 1993. Making Sense of Color Management Systems, Publish, August, 1993. Can Color Management Solve Desktop Color?, Decisions (EPS Section of PIA), Second Quarter, 1993. The Next Stage in Image Correction, Printing Impressions, May 1993. Lessons from the Last War, The Future Image Report, Vol. 1, Issue 1 (April ’93). At Your Service, Publish, May 1993. The Good Old Days that Never Were, Printing Impressions, March 1993. Getting the Most from PostScript, Printing Impressions, January 1993. Testing New Technologies, The Prepress Bulletin (IPA), Nov./Dec. 1992. (with Henry Eakland) Color Management Systems, Pre-, November 1992. Six Clues to the Future: Trends in Desktop Color Prepublishing, Concepts Special Report #2, (Fall) 1992. Estimating PostScript Prepress, Timeout (The Newsletter of the AISB), September/October 1992. Storm Warning, The Prepress Bulletin (IPA), September/October 1992. Planning Pages for the Press, Publish, October 1992. Real Color Comes to the Desktop, Printing Impressions, September 1992. How to Buy a Desktop Publishing System, Business Management Advisory (Printing Industries of America), September 1992. Cachet: Color for the Rest of Us, Publish, August 1992. Printers Turn to Desktop, The Prepress Bulletin (IPA), July/August 1992. The Union’s Desktop Resistance, Printing Impressions, May 1992. Seminars Address Issue of Marketing Desktop Services, The Typographer, April 1992. Color Connections 3, The Quality Control Scanner, Volume 12, Number 3 (April 1992). Digital Prepress Tools, The Prepress Bulletin (IPA), March/April 1992. Guide to Desktop Publishing in Color, Technology Trends Advisory (Printing Industries of America), March 1992. Chronicling the DTP Revolution, Printing Impressions, March 1992. Color on the Desktop: The Progress to Date, Graphic Exchange, February, 1992. Desktop & the Color Tradeshop, The Prepress Bulletin (IPA) Jan./Feb. 1992. A Case of Burn-Out, Desktop Communications, January/February 1992. Paul Brainerd Shares his Experiences with AISB, Pre-, January/February 1992. DTP to Become a Printer’s Staple, Printing Impressions, January 1992. Talking to Printers about Desktop Publishing, PrintAction, December, 1991. Prepress Technologies: Fin de Siècle, Desktop Communications, November/December 1991. Associations Diversify with Industry, Printing Impressions, November 1991. (with Miles Southworth) Understanding Color Prepress, Pre-, September 1991. (with Miles Southworth) Training for the New World of Color, Pre-, September 1991. Color Prepress Technology, Timeout (The Newsletter of the AISB), Summer, 1991. The New Language of Color Prepress, The Prepress Bulletin (IPA), July/August 1991. Training for Color, Desktop Communications, July/August 1991. Frontiers: Color Space, Screen Angles, Printing Impressions, May 1991. The Trouble with Laser Prep, Timeout (Newsletter of the AISB), Spring, 1991. Desktop Decisions, The Prepress Bulletin (IPA), May/June 1991. Where’s it all Going?, Desktop Communications, May/June 1991. New Tools make the Color Connection, PrintAction, May, 1991. Warning: Quicksand Ahead, Proceed Cautiously, Pre-, May 1991. Mastering Electronic Prepress, Pre-, May 1991. Seybold Seminars ’91, The Quality Control Scanner, Volume 11, Number 4 (April 1991). Color DTP: Nothing But the Facts, Printing Impressions, March 1991. Desktop Publishing: What are You Going to do About It?, The Prepress Bulletin (IPA), March/April 1991. Looking at Pictures, The Prepress Bulletin (IPA), January/February 1991. Membership Has its Advantages, Pre-, January 1991. Thinking in Color (profile of DX Imaging), appearing in Publishing 2000, published by Xerox Corporation, 1991. Corporate Coupling Breeds Change, Printing Impressions, January 1991. Desktop-to-Prepress Links, The Prepress Bulletin (IPA), November/December 1990. Newsletter Focuses on Prepress Issues, Pre-, November 1990. Journal Answers Hackers Plea, Printing Impressions, November 1990. The New Service Bureau, The Prepress Bulletin (IPA), September/October 1990. Show Preview: Seybold Conference, Pre-, September 1990. Grandiose Claims Plague DTP, Printing Impressions, September 1990. Reality Check, PrintAction, September, 1990. Computers and Color, Quick Printing, September 1990. Color Prepress Options Multiply at DRUPA, BlueLine (PINC), Summer 1990. Revelations on Making it Work, Pre-, July 1990. It’s Your Deal, Quick Printing, July 1990. Beyond the Hoopla, Pre-, July 1990. Prepress at DRUPA: More Imitation than Innovation?, PrintAction, June 1990. The Evangelist of Desktop Publishing, Small Press, June 1990. Defining the New Service Bureau, Pre-, May 1990. Conference: Hype or Quality?, Printing Impressions, May 1990. Desktop Publishing: A Not-so-Secret Weapon for Quick Printers, QP Today, Spring 1990. DTP Demands New Approaches, Printing Impressions, March 1990. The New Role of the Printer, PrintAction, March 1990. Terry Satterthwaite Moves On, Pre-, March 1990. The Link to Prepress, Pre-, March-April 1990. The Changing World of the Service Bureau, Newsline (NCPA), March 1990. IBM & Mac — Twin Towers of Desktop Publishing, Desktop Publisher, March 1990. The Changing Role of the Service Bureau, EC & I (Electronic Composition and Imaging), February/March 1990. Skills and Training: Desktop Publishing’s Secret Ingredient , PrintAction, Feb. 19, 1990. Service Bureaus are in a State of Transition, Pre-, January-February 1990. The Evolution of Imagesetters, Pre-, January 1990. How to Get Started in DTP, Printing Impressions, January 1990. The Big Desktop Publishing Issues for Printers, PrintAction, January 1990. Color Publishing — It’s not all Black and White, Desktop Publishing Buyer’s Guide and Handbook, Volume VIII, Issue 9 (1990). The Mac Versus IBM Debate Rages On, NADP Journal, Vol. 4, No. 2, 1990. Desktop Publishing: A Primer for Printers, PrintAction, December 1989. Desktop Dilemma: IBM vs. Mac, Printing Impressions, November 1989. Buying a Laser Printer, Quick Printing, June 1989. Recall the Tortoise and the Hare, Printing Impressions, May 1989. Macintosh, IBM, or Both?, Quick Printing, April 1989. Desktop Choices, Quick Printing, March 1989. Disk Conversion to Fax: Other Aspects of DTP, Copy, February 1989. Filling in the Forms, Personal Publishing, February 1989.